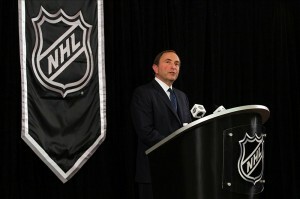 NHL Expansion Draft: Possible in 2014? 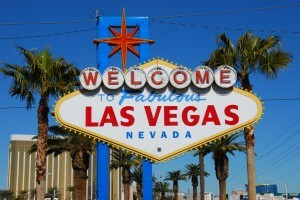 Is There a 2014 NHL Expansion Draft on the Horizon? With cities across North America clamoring for the rights to an NHL franchise, there is no lack of intrigue when discussing which locale may end up with a team. Since the expansion of the NHL into a 12-team league in 1967, the National Hockey League has held a total of 10 expansion drafts, allowing new teams to select players from across the league. Whether it’s Las Vegas or Seattle or Kansas City or Quebec or even another team in Toronto, it looks likely that the league has expansion in its sights. In the fourteen years since the league last expanded, there are whole hosts of questions revolving around what exactly that means for the league. The league has yet to hold an expansion draft in a salary-capped era, which means new rules, new challenges, and considerable implications for teams, players, and fans across the league. How Would an Expansion Draft Work Now? With Major League Soccer and the Canadian Football League as the only two major professional sport leagues in North America to hold an expansion draft for their sport since the NBA added the Charlotte Bobcats in 2004, there isn’t a lot of modern precedent to base the rules on. At the same time, halfway across the globe, the Kontinental Hockey League (KHL) held an expansion draft this offseason with the expansion of the league with the Admiral Vladivostok, but used rules that wouldn’t necessarily lend well to the North American game. What this means is that the NHL would be tasked, if an expansion draft is necessary, to build a set of rules unique from any of their previous expansions that would take into account the new make-up of the Collective Bargaining Agreement. Looking back at the 3 most recent NHL expansions draft (1998,1999, and 2000), the rules for protecting players could remain relatively intact from those drafts. Of the unprotected players, each franchise had to include at least one forward and one defenseman who appeared in 40 games in the 1997–98 season. 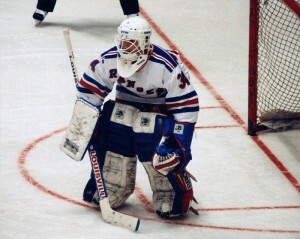 Each franchise also had to include at least one goaltender who appeared in 10 games in the 1997–98 season, and a minimum of 25 games since the 1995–96 season. In 1999, the NHL added the stipulation that teams that lost goaltenders in the 1998 NHL Expansion Draft (Anaheim, Los Angeles, Montreal, New Jersey and the New York Rangers) could not lose a goaltender in the 1999 Expansion Draft. For the 2000 NHL Expansion Draft, the league, in addition to exempting the two newest teams (the Nashville Predators and the Atlanta Thrashers), the league added a variety of eligibility requirements and protections. For teams protecting only one goaltender, there was no experience requirement for those left unprotected. For teams protecting two goaltenders, each goaltender left unprotected must have appeared in either 10 NHL games in the 1999–2000 season or 25 games in the 1998–99 season and 1999–2000 seasons combined. A goaltender had to be in net for at least 31 minutes in each game for the game to be counted against these totals. At least one defenceman left unprotected by each team had to have appeared in at least 40 games in the 1999–2000 season or 70 games in the 1998–99 season and 1999–2000 seasons combined. At least two forwards left unprotected by each team had to have met the same requirements. 52 players were chosen in the draft, two from each participating franchise. Only one goaltender or one defenseman could be selected from each franchise. (D) No Club that is in its first two years of operation (e.g., an expansion franchise), has completed only two seasons in its current location (e.g., a relocated franchise), or has completed only two seasons under the current majority and/or controlling ownership group shall be subject to the provisions of this Section 49.3(d)(i). Without any changes to the rules, no teams would be exempt based on the relocation restriction, as the Winnipeg Jets moved from Atlanta prior to the 2011-2012 season, and it looks like as a result of the change in ownership clause that the Phoenix Coyotes, New Jersey Devils, and possibly the St. Louis Blues. 1) Each franchise in the league is allowed to protect one goaltender, five defensemen and nine forwards or two goaltenders, three defensemen and seven forwards. 2) Each franchise can only have one defenseman or one goaltender taken by an expansion team. In other words, if one of the expansion teams takes a goaltender, than the remaining choice from that team must be a forward. 3) Players with no-movement and/or no-trade clauses will not be eligible to be left unprotected by their current team, unless the player agrees to waive the clause. 4) Each franchise will be required to include players with a certain amount of NHL experience on their unprotected list. 5) Players who have been in the league for less than 2 seasons will be ineligible to be placed on the unprotected list. 6) If an expansion team chooses to select a player that is an upcoming free agent and fails to sign them prior to the upcoming season, that team will receive a compensatory draft pick. Who is Most at Risk for Being Selected? Most fans are less concerned with what the composition of the new expansion teams are than with the concept that they could lose one of their favorite players, for nothing, to a potential new rival. With the expansion of the league from the Original Six to the 30-team format we’ve grown used to today, its possible that some of the players picked up could make a significant impact in the league for their new teams. If history is a marker for expansion drafts, the likely candidates for teams to not protect are either has-beens or never-was young prospects that didn’t pan out. Some of the more notable names taken in the past NHL expansion drafts are Tomas Vokoun, John Vanbiesbrouck, Billy Smith, Terry Sawchuk, Glenn Hall, Bernie Parent, Geoff Sanderson, Guy Hebert, and Scott Mellanby. This doesn’t mean that the other players who were drafted didn’t leave a lasting impression on the expansion team that selected them; it’s just that there weren’t many truly notable names left unprotected. The big question is that if the players unprotected in the expansion draft are all second-tier players, than is it really important if my team loses their 4th liner? Unfortunately for fans of existing franchises and fortunately for fans of expansion franchises, teams would, as a result of the salary-cap era, be more likely to leave players unprotected with unfavorable cap hits or who have underperformed. If you look at the past offseason for example, expansion teams would not only benefit from a more competitive franchises league-wide, but also from a system that leaves veterans like Brendan Morrow, Ilya Bryzgalov, Tim Thomas, Vinny Prospal, and Hal Gill floating in free agency until at least the start of training camps. Two newer expansion teams have an advantage compared to their predecessors, as the salary-cap has enhanced parity across the league, making every move a significant calculation by general managers. This means that the players placed on the list may still not be the Crosbys, Ovechkins, and Sedins of the NHL, but still more than serviceable players that would give the teams an instant chance to actually hit the ground running (or skating). Even with another round of amnesty buyouts upcoming this offseason, an expansion draft could act as another method for teams to rid themselves of terrible contract decisions. While most teams might scoff at the idea of taking on a less than desirable contract for an underperforming player, it gives expansion teams the option of adding some viable talent right off the bat, without having to wait a few years building through the draft. While we don’t know for sure that an expansion draft is coming down the pipeline for the NHL in the next offseason, even though most signs point to it, what we do know is that any expansion draft will be nothing like the ones of the past.